Engaging and conducting a full ‘Executive Search’ for your next business or functional leader is often highly challenging, in most cases the need for confidentiality and discretion is of paramount importance, and a compromise could be catastrophic. Executive search is not about just finding a strong CV or specific skill set, or about a quick wins and speedy turnarounds. It is about sourcing and engaging the best talent for your business from within the market, wherever that is, whatever the obstacles are, and whatever the issues may be. A full and in depth Executive Search requires significant amounts of market research, effort and engagement, the ability to connect with passive job seekers and even those who aren’t even passive. Leadership appointments should never be left to chance; a fully retained Executive Search is the only way to ensure you select the best leaders for your business. 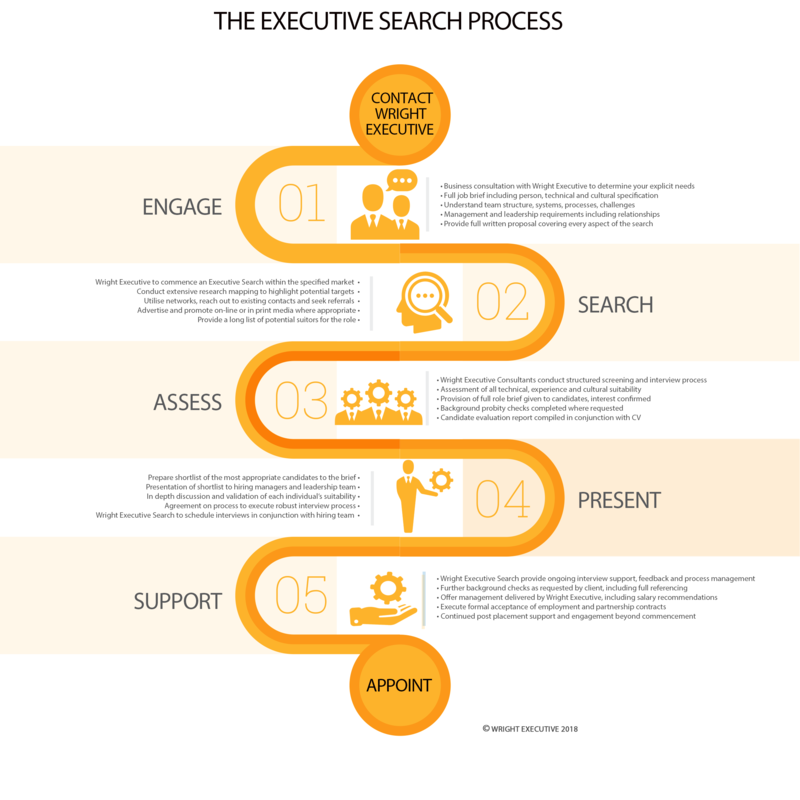 The Executive Search methodology, which Wright Executive will undertake for your organisation, is outlined below. Need a new leader ?